Cruelly overlooked by Jaguar aficionados, the XJ-S was probably the best Grand Tourer you could have for the money during the 1970s and ’80s. However, the time is coming for these magnificent cars, and Richard Bremner has made sure he’s in the pound seats for the renaissance by picking up the best example be could find. However, the way it was bought was far from conventional, even if many of the site’s readers will be familiar with it. LIKE so many people who acquire classics, I didn’t quite mean to buy this one. 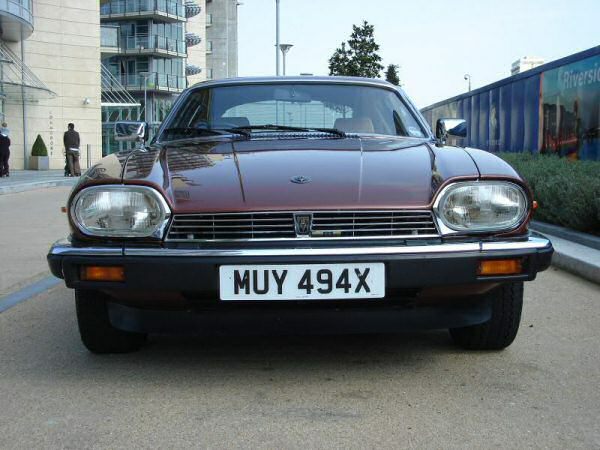 But I succumbed to the temptations eBay, which is where pictures of this chestnut metallic XJ-S (not these ones – Ed) leapt out at me. It was partly the quality of the picture that caught my eye, but also this incredibly clean and shiny car, and its backdrop – if the surroundings are well-to-do, I figure, there’s a chance that the owner might have been able to afford to maintain it properly. Though that doesn’t always apply of course. Anyway, it was enough to get me to click on the page, where I was able to savour the sight of a 1981 Jaguar XJ-S 5.3 V12 HE with 19,000 miles on the clock. Judging by the rest of the pictures and the history, the mileage looked genuine. 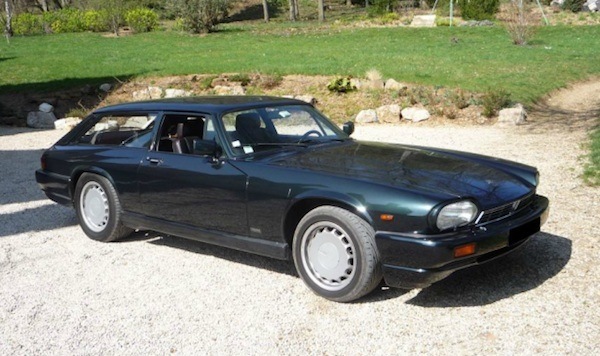 Bidding had already reached over £8000 – a lot, for a fixed-head XJ-S – and in the end it didn’t sell. Out of curiosity I emailed the owner to find out what is reserve was, which turned out to be £9000. And though as I say that’s a lot for one of these Jags, a bit of research soon revealed plenty of 50-60,000 mile cars that were in good condition but far from as exceptional as this car, for £6-6500. And you’d never get one of these more used examples to the condition of this 19,000-miler for £2500-3000, I argued to myself as I constructed an excuse to at least have a look. However, for logistical reasons I couldn’t go and see it, which is how a very knowledgeable friend came to be travelling to South Wales one Saturday morning, and how he came to leave me a message saying that he’d paid a deposit. Which was a slightly startling turn of events – my bluff was being called. ‘If you want an XJ-S,’ his message said, ‘this is the one – it’s absolutely superb.’ And so I ended up buying it (the deposit was returnable, but I couldn’t resist indulging) and a fortnight later I was on a train to Wales to collect a car that I’d never seen and didn’t know I really wanted. I’ve blown hot and cold over XJ-Ss over the years, amazed at the value and performance they offer, but worried by a stellar reputation for creating giant repair bills out of nowhere. And I also wondered whether I really wanted the wheels of your archetypal self-made, cigar-chomping businessman from the 1980s. But when I saw the car it was easy to forget all that – there was no rust, no fresh paint, no deterioration anywhere, really, and an engine bay almost totally dirt and stain-free. This was something exceptional, which was just as well given what I was paying. ‘You’ll get 22mpg on a long run,’ it’s owner cheerily told me as I left his drive, and that’s exactly what the Jag returned on the journey to London, though I used far from all of its satin power. Not that I bought an XJ-S V12 to enter economy runs. The plan is to use it on some classic car events in the summer, and attempt to maintain it in time-warp condition. So far, it has cost me a service, new tyres (two were fitted on the day it was made, and had gone hard), attention to the charging system and the straightforward repair of a power steering leak, but it’s now running magnificently, and attracts a surprising amount of attention on the road. Not that that’s what I was after, but I guess it reflects the fact that you don’t see these long-bonneted beasts so often these days and that the XJ-S is quite an unusual-looking device. I’m sure it will only become more so as the years go by.